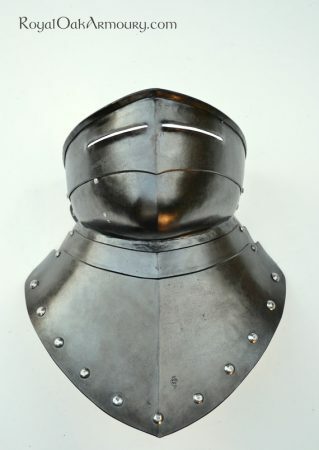 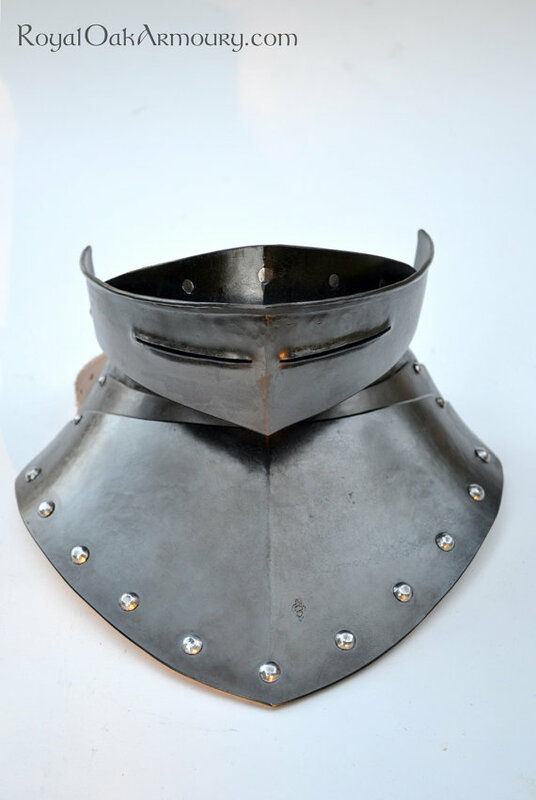 This bevor was made based on a late 15th C Spanish original, though bevors of similar form were worn across Europe at the time, with sallets and kettle hats. 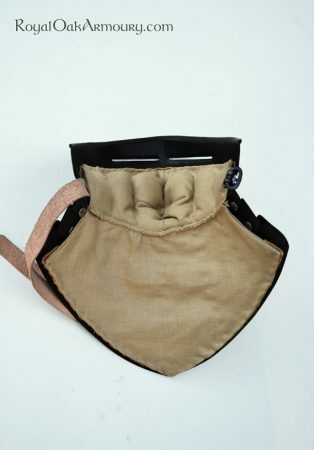 Our bevor features a falling upper lame to partially free the face with a push-button locking pin, a slot to improve air flow, an articulated gorget and a hand-sewn padded linen liner. The blackened finish shown is not a standard feature, but is available at extra cost on request – standard finishes are bright polished, satin or even hammer-rough. 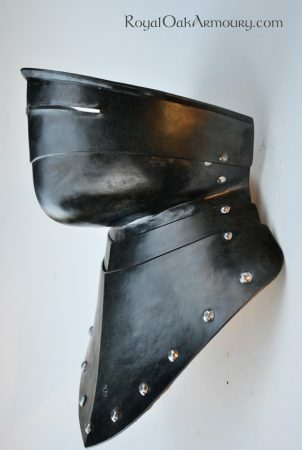 We would be happy to make a bevor based on a different original; just ask.